Let this post serve as my full endorsement for white after Labor Day... you all saw it coming didn't you! Buck those old fashioned "rules" & embrace the white! 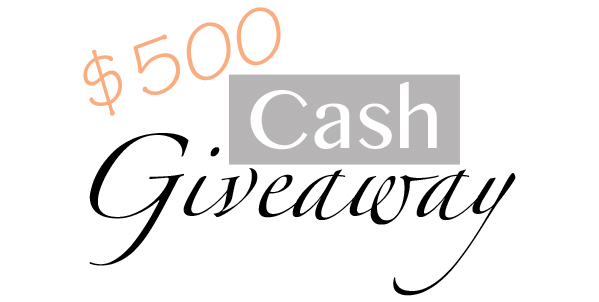 And because who wouldn't want $500 cold hard cash for a little Fall Shopping, I give you a super duper blogger giveaway! Meet a few fresh faces & you might just win a lump of dough! 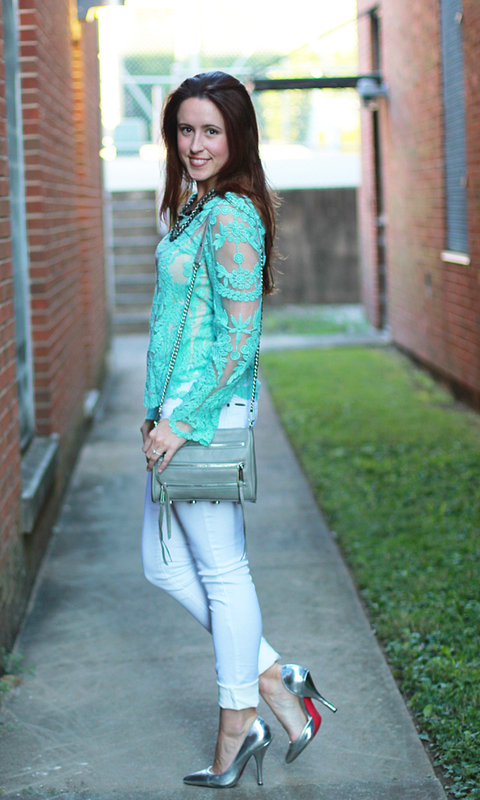 This top is STUNNING–and the color is just fantastic on you! Also, I'm a huge advocate of white after Labor Day too. There's no reason not to! I just bought that shirt in black! I cant wait to get it!! You rock is so well! 1. I've had a lot of coffee, don't mind me. 2. That top--I need. Now! 3. Stop being so skinny and gorgeous. 4. If I'm half as glamorous as you when I'm a graduate student, my life will be complete. 5. Loving the giveaway too! 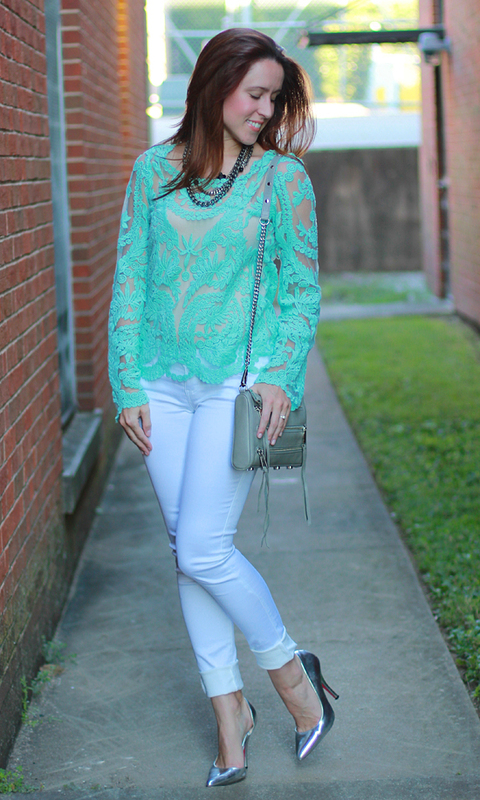 That lace top is so pretty with the white pants! Happy to be a part of this giveaway with you! I love white after Labor Day and you look STUNNING Jessica! That minty shade definitely suits you. I never understood the deal with white. lol But that top is gorgeous! You should always wear white after labor day! I love your pretty green lace blouse too! Stunning outfit. Love the whole look! Love the color of that purse!